Compact grey green foliage. 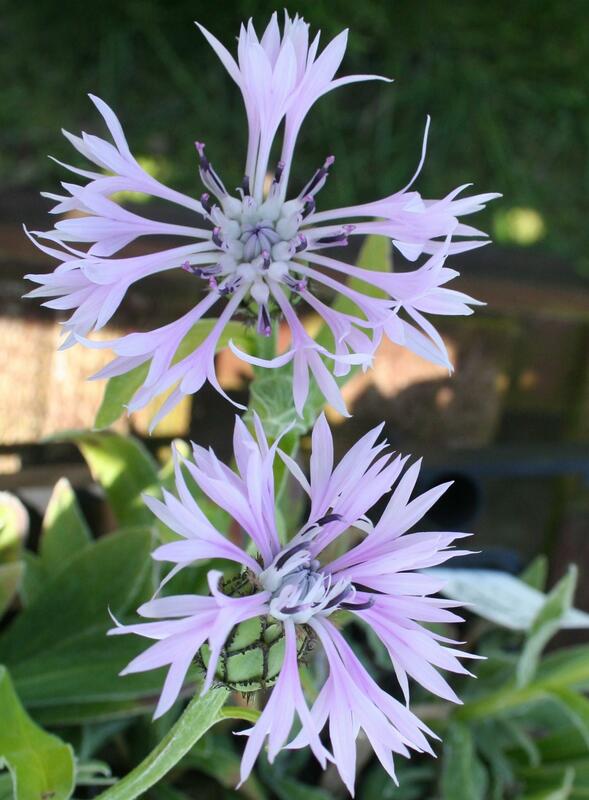 Stout stems carry a typical cornflower but pretty lilac flowers, May to June. Sun and good drainage. 45cm tall. Drought tolerant. Does not seed invasively. Loved by butterflies and bees.